Be prepared for both the office dress code and weekend nights out with this women's black floral printed tea wrap dress. 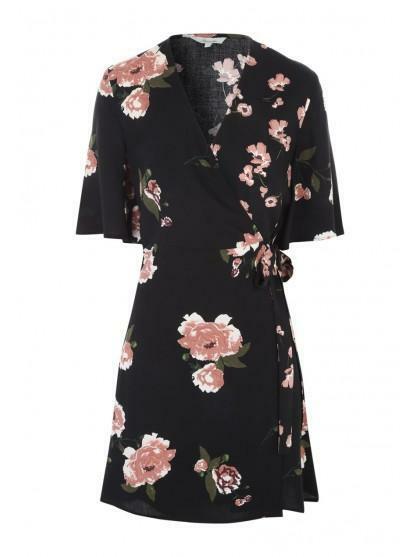 Bang on trend in a sophisticated black hue, this is perfect for teaming with some tights and heels, for both the office and in the bar. Nice dress. Good quality. Will wear with a cami top underneath & over a pair of leggings for work.